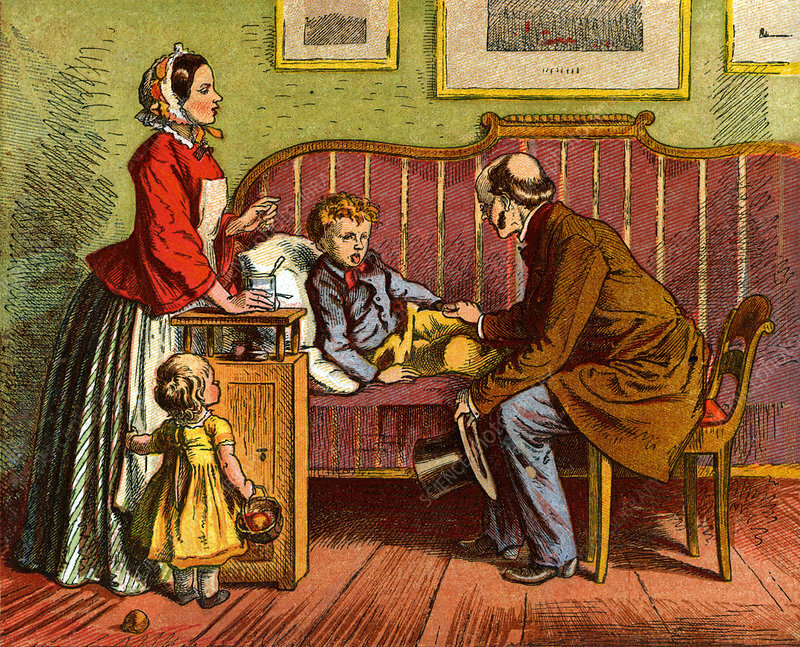 Sick child visited at home by the Doctor who asks to see the boy's tongue and takes the pulse at the wrist. Mother and a younger sibling look on. Illustration by Oscar Pletsch (1830-1888) German illustrator, particularly of children's books. Chromolithograph.